With the weather being so COLD out lately I have had to get a bit creative with keeping our little guy entertained. 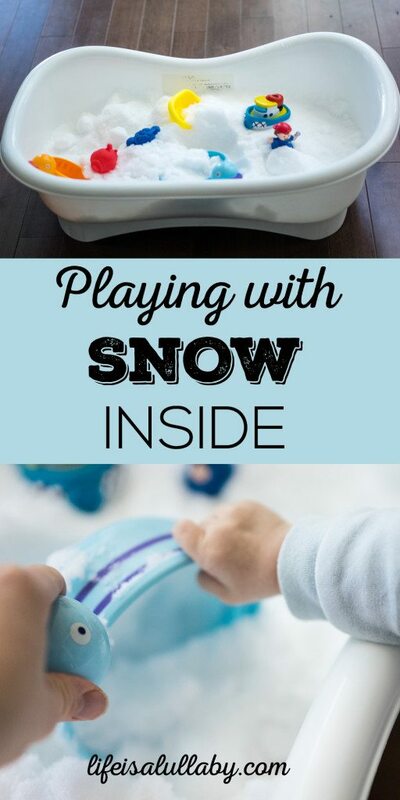 What is more fun than playing with snow inside? 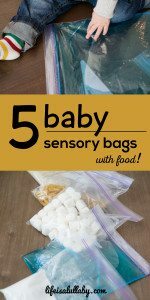 You can also get inspired with our 5 Baby Sensory Bags with Food post for some more creative ideas. I got this idea from a few friends that had posted on Facebook that they did the same thing. Thought it would be fun to try! Basically all I did was get our baby bath tub and brought it outside and filled it with snow. I also got some bath toys to play in the snow with. TIP – I did not put anything under the tub to protect our floor. If I were to do this again I would lay down a waterproof mat or garbage bag so that the snow that gets out of the tub does not get the floor wet. Particularly if you have a toddler who will make more of a mess! I wasn’t sure how Camden would react to the snow – but he didn’t really like it. He reacted the same way to sand at the beach so I guess I shouldn’t have been that surprised. He was very interested in what it was though and touched it a few times. 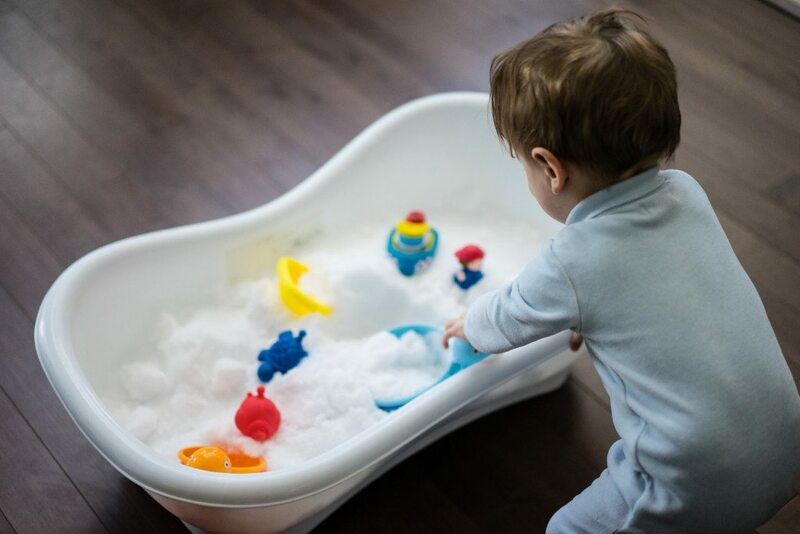 I do think that as your baby gets older though, they’ll be able to play with the scoopers and have a bit more fun. Overall, I think it was still fun to show him the snow and scoop a bit of it out together. I would do it again maybe in another month to see if he plays differently with it. I encourage you to try this at home and let me know in the comments below how your baby reacts to it!